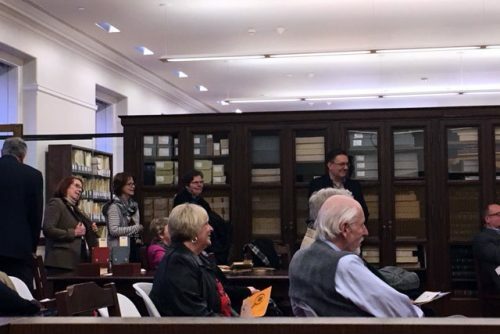 On Saturday, February 10th, the formal dedication of the St. Louis Sherlockian Collection was held in Rare Books & Manuscripts at Central Library. 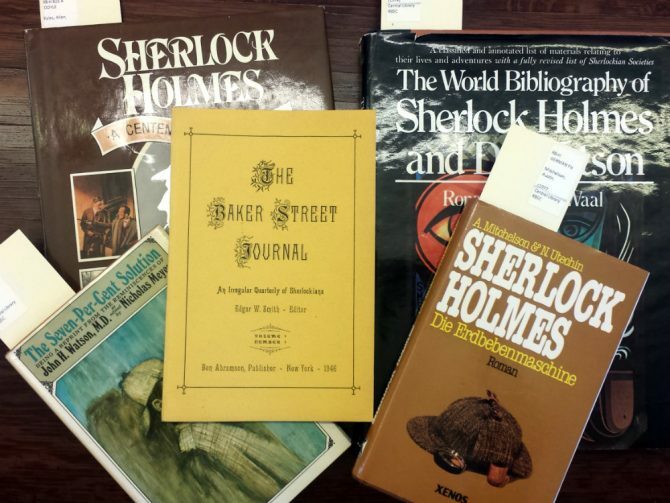 A wide variety of books, periodicals, and fanzines devoted to the study of Sherlock Holmes and his author Sir Arthur Conan Doyle, the collection has been cataloged and is available for research in the RBM Reading Room. 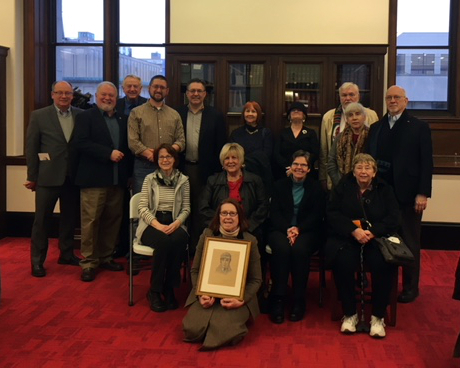 The creation of the St. Louis Sherlockian Collection at SLPL was prompted by Mary Schroeder’s donation of her Sherlockian library collection, which had previously been housed at McKendree University. 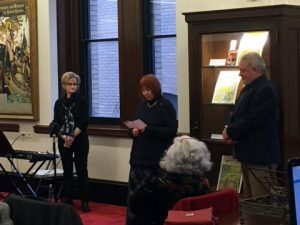 An additional offering by Bill Cochran of a complete run of The Baker Street Journal, ensured St. Louis area enthusiasts access to the foremost Sherlockian publication since its founding in 1946. 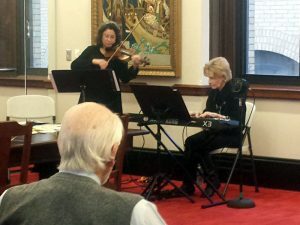 Saturday’s festivities, led by Randy Getz, leader of the Noble Bachelors of St. Louis, included a violin and piano performance of a Mendelssohn composition and a rousing musical number from Gilbert & Sullivan’s comic operetta H.M.S. Pinafore. 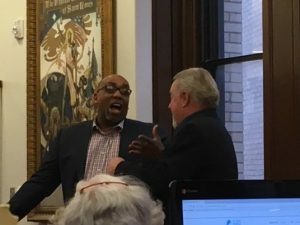 Unusual happenings for our normally peaceful Reading Room, to say the least! To learn more about this growing collection, call Rare Books & Manuscripts at 314-539-0370.